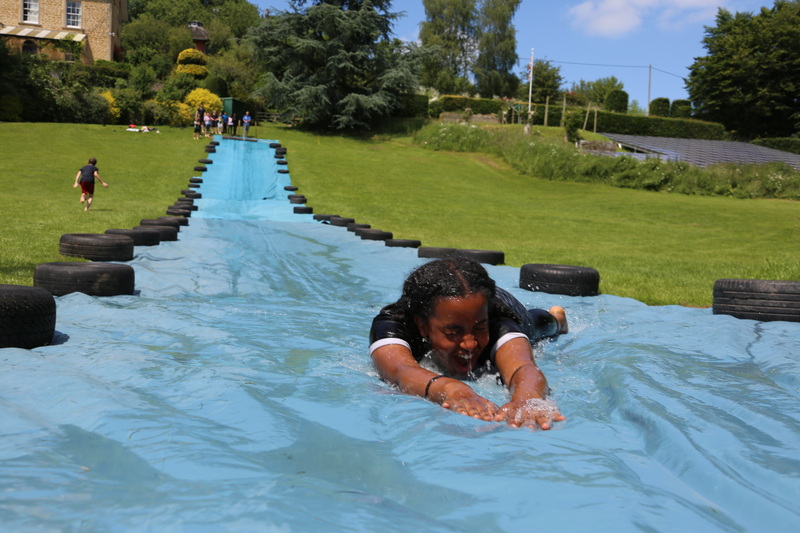 Stag or Hen parties, corporate fun days or just a group of friends wanting an action packed fun day – there are loads of outdoor activities to try at Mill on the Brue. We are offering a new package to adult groups called ‘Mud, Soak and Rope’ 4½ hours of exhilarating activities. Simply prioritise the different activities in each section and we will endeavour to write a programme with your favourites. All the activities last 1½ hours. £79 per person, including a two course lunch (min 8 people). 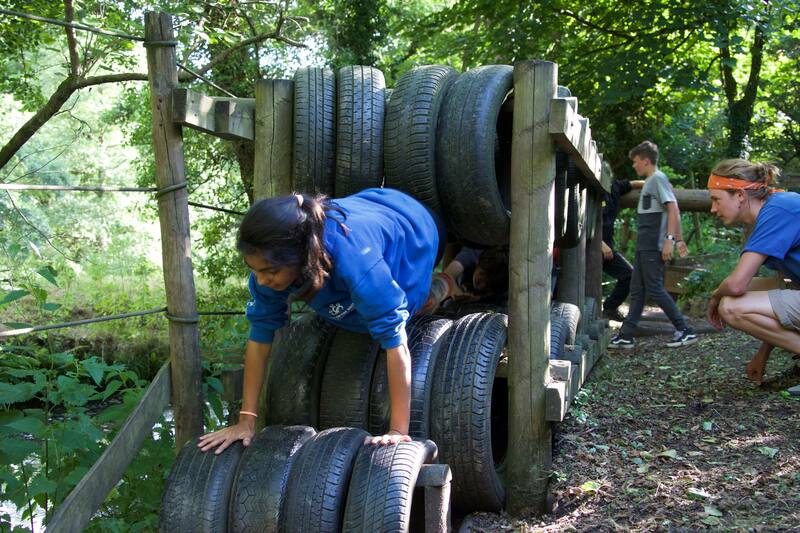 Assault course – Climb, crawl and slip over our challenging course ideal for getting adventure racing enthusiasts. 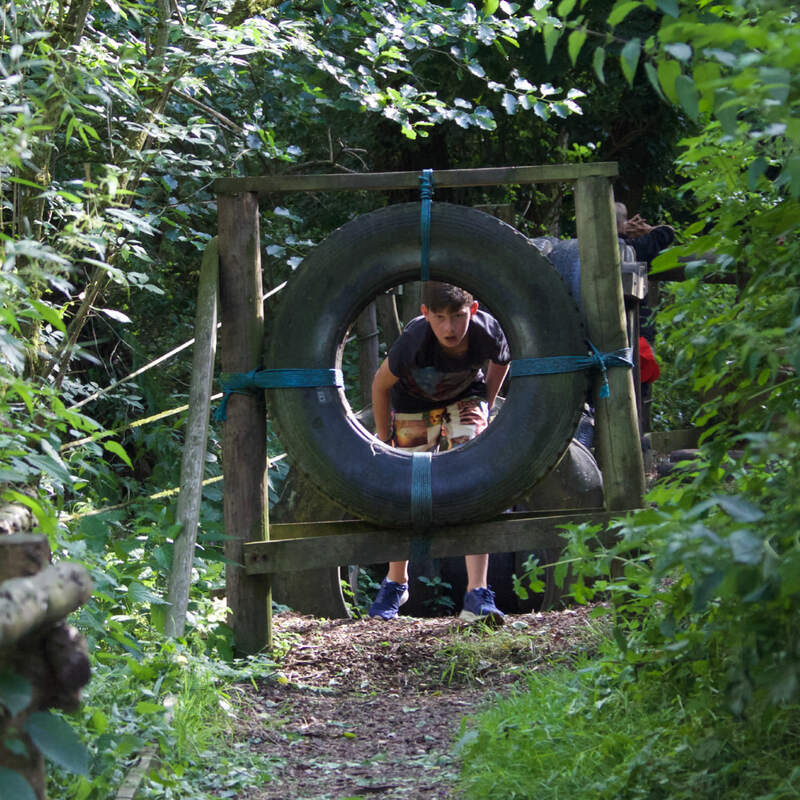 Tunnelling – crawl through our tunnelling system, potholing for beginners. Archery – ok it’s not technically a muddy activity but we think it’s great fun and the arrows may hit the ground not the target! 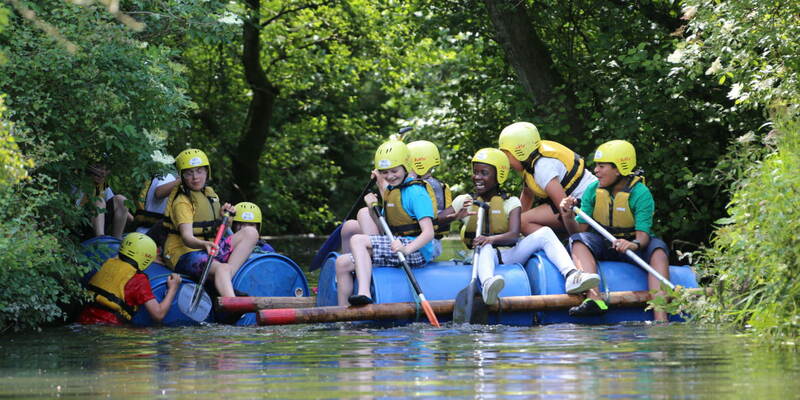 Rafting – Design, build and hopefully sail your raft down the river Brue. 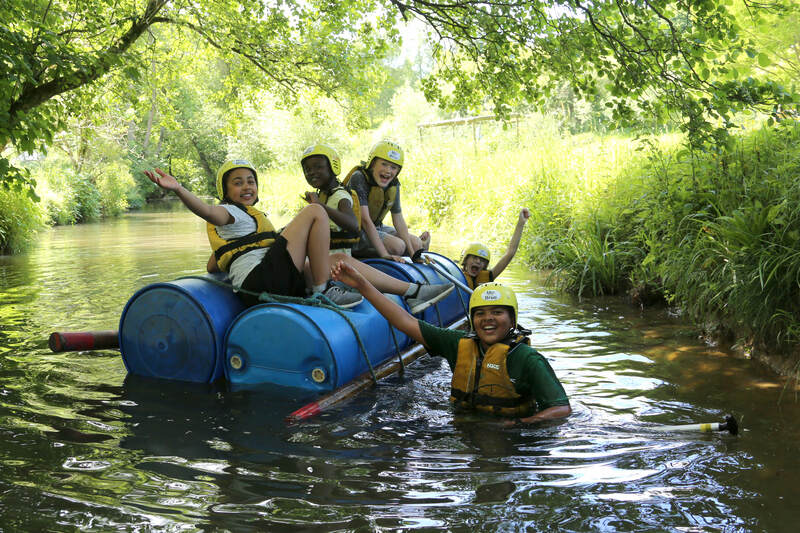 River Crossing challenge – A team task involving some rope, poles and a river. 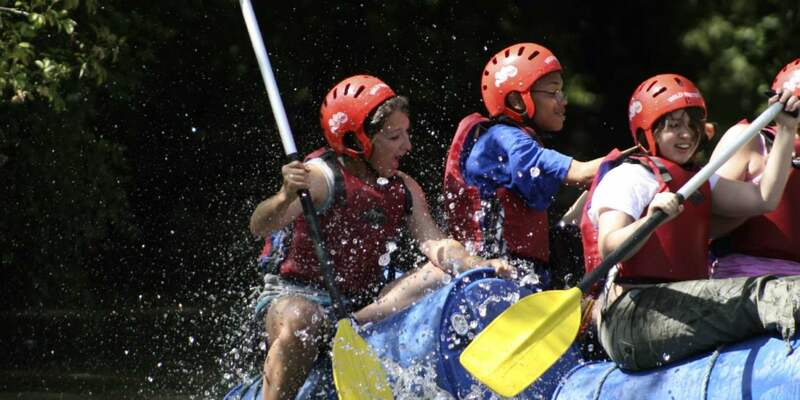 Open canoeing – Float down the river, play some games in our Canadian canoes. Zip wire – 240m zip wire speeding across the Brue valley 40 ft in the air. 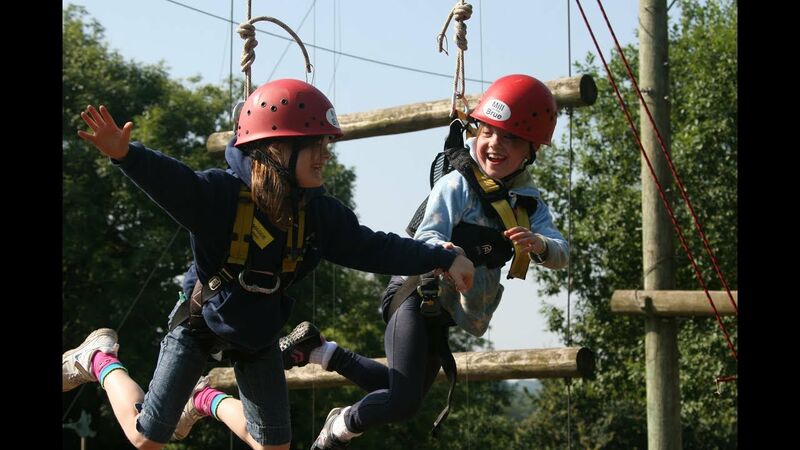 Climbing & abseiling – Our 30 ft tower is ideal for an introduction session. 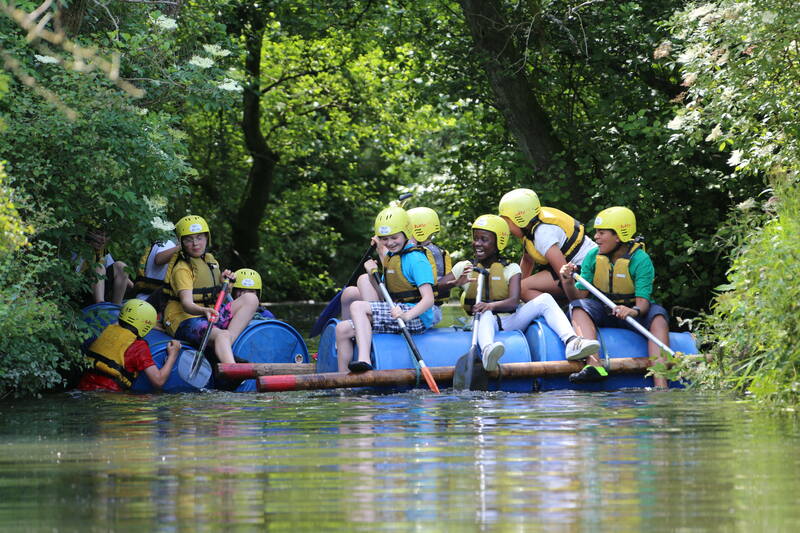 "I wish I could come to Mill on the Brue and try some of the activities’ say so many parents, teachers, and anyone else ‘grown up’. Well of course you can! Whether it’s a getting away day from work and wanting to try something different, a hen party before that very special day, a reunion from university, or just a group of friends who have never been lucky enough to climb, canoe, raft, tunnel, shoot an arrow, or just let your hair down and be kids again!" "Just wanted to drop a line to thank you and your staff for a great day on Saturday when our Stag group visited. The location and facilities were excellent and all the instructors we had contact with were great fun. The lovely weather was also an added bonus!! All participants thoroughly enjoyed themselves. Please pass on my thanks to all concerned.